One of the most popular traditional dishes of Catalan gastronomy are calçots. And you’re in luck! Because it is season of calçots and we can enjoy this variety of onion so popular at this time. Eating calçots is very simple. First you have to make them to the grill, to accompany them with sauce romesco (typical Catalan sauce made with tomatoes, garlic, bread, almonds, red peppers and dressing) and put on a giant bib not to stain. Voilà! There they go, 5 of the best restaurants in Barcelona to enjoy a great calçotada. For 29.90 euros per person you have a special menu for the occasion which includes toast with all i oli, a tile (which is how they are served) full of calçots and romesco. Also all kinds of meats accompanied by a vegetable grill as second. Complete and great. Calçots, toasted alli i oli, followed by a grill of rabbit, chicken and pork, with incredible homemade desserts like the Catalan cream accompanied by neulas and muscatel and the drink and coffee included, the Can Cortada menu is ideal for families . Located in the neighborhood of Gràcia, this restaurant has a menu with 15 calçots per person and a second to choose between meat or fish plus shelter. The dessert of honey i killed it we totally recommend it. All for 26 euros per person. (With coffee included). A great option to satisfy your stomachs. The Foixarda restaurant is located near the MNAC, National Museum of Catalan Art in Montjuïc. If you want to enjoy a good calçotada in the middle of a location more typical of mountain than of city, the Foixarda is your option. A brasserie restaurant inside l’Escola Municipal d’Hípica where you can enjoy Argentine barbecues and some delicious calçots now that is the season outdoors or inside. 5. El jardí de l’Àpat. Specialized in Catalan cuisine and in calçots, its menu of 29 € + VAT brings us to the table a tile with calçots and romesco, a barbecue of meat of butifarra and veal, potatoes al caliu, beans, artichokes and the already typical bread toasts Of payés with tomato and garlic to spread. The popular festival that is organized in Valls around calçot is one of the best known. This year is celebrated on Sunday, January 29. 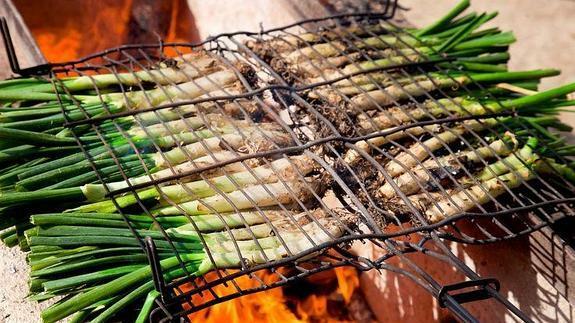 Valls is located a few kilometers from Tarragona and you could say that it is home to the calçotadas that are organized by all corners of Catalonia during these dates. The party goes to the streets and squares of Valls with a varied program of activities for all ages such as popular acts, parades, contests, tastings or folk dances among others. 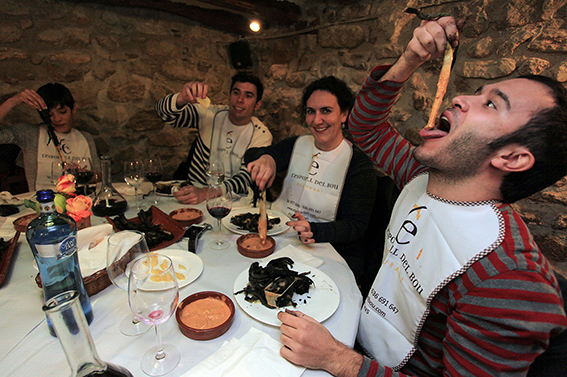 A festive and traditional dyad where you can live up to the whole calçot tradition. Will you stay without enjoying a good calçotada? The Encants Market of Barcelona.